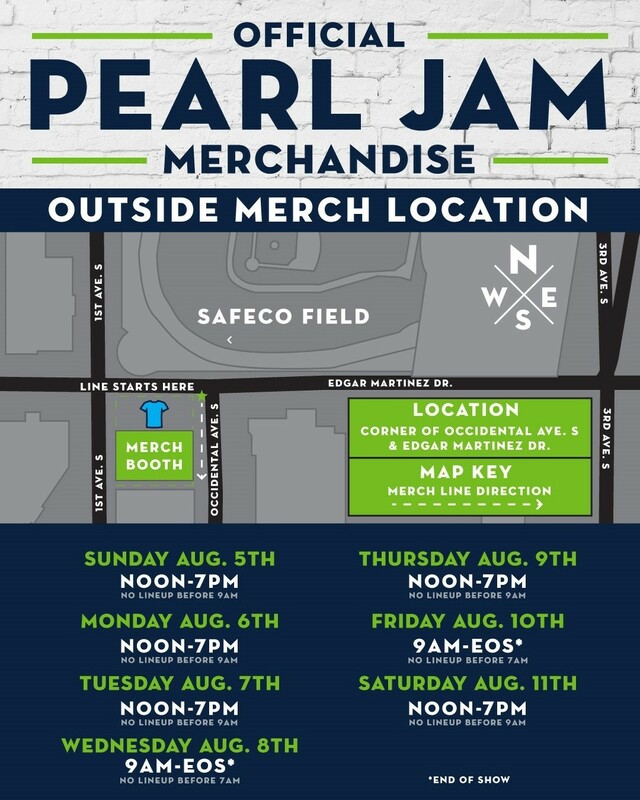 The Seattle Mariners are excited to announce The Home Shows with Pearl Jam live at Safeco Field on Wednesday, August 8 and Friday, August 10. The Home Shows mark Pearl Jam's first hometown appearance in five years plus the largest headlining concert event in Seattle since the Rolling Stones' two-night stint at the Kingdome in 1981. Tickets to both shows are currently sold out. Parking: Available on a first-come, first-served basis at the Safeco Field Garage beginning three (3) hours prior to gate opening. Bus/Limo Parking: Available on a first-come, first-served basis at the Safeco Field Garage beginning three (3) hours prior to gate opening. Concert Bag Policy: No Backpacks or large bags. Clutch sized purses/bags measuring 4.5in/11.4cm x 6.5in/16.51cm or smaller are allowed. Suites and Club Seat Packages (All-Star Club | Press Box Club) are available. To purchase or for more information, call 206.346.4482.